We are focusing on organic-based solar cells toward their applications by addressing issues that are still unresolved such as the power conversion efficiency, the durability and the low-cost processing techniques. 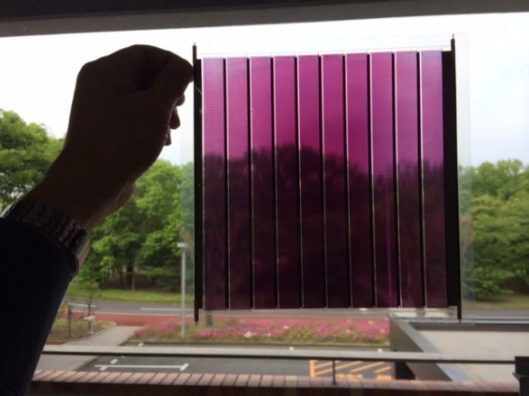 Organic-based thin-film solar cells offer exceptional advantages such as resource conservation. To realize the practical use of organic-based solar cells, it is necessary to further improve the efficiency and the lifetime. For high efficiency organic thin-film solar cells, we perform structure analysis and optimization of the bulk heterojunction. Furthermore, we are developing see-through flexible cells and sub-modules by printing process and their application to energy harvesting in cooperation with universities and private companies. Regarding the new field of organic-inorganic hybrid perovskite solar cells, in particular, we are focusing on new fabrication techniques and engineering the interfacial processes to achieve high efficiency and durability. Figure. 1　Crystal structure of perovskite layer. We develop perovskite-based materials and their thin-film fabrication using solution coating and vacuum deposition processes for low-cost and high-power conversion efficiency. In particular, we develop a novel vacuum deposition process for precise composition control of the perovskite layer. 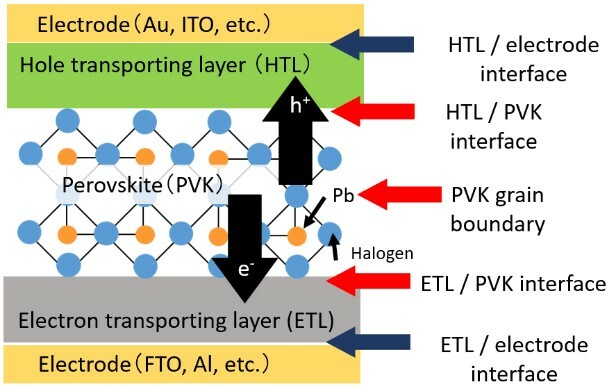 Furthermore, we focus on interfaces of perovskite/hole transporting layer and perovskite/metal oxide layer for high efficiency and durability. We investigate the structure of bulk heterojunction and develop novel metal-oxide and organic buffer layers for the high efficient solar cells. We also develop standard cells for in-door use. Under low illuminance, organic-based solar cells are expected to show high efficiency compared to amorphous Si solar cells. We examine the organic thin-film solar cell properties by the LED light irradiation and optimize their cell structure. Figure. 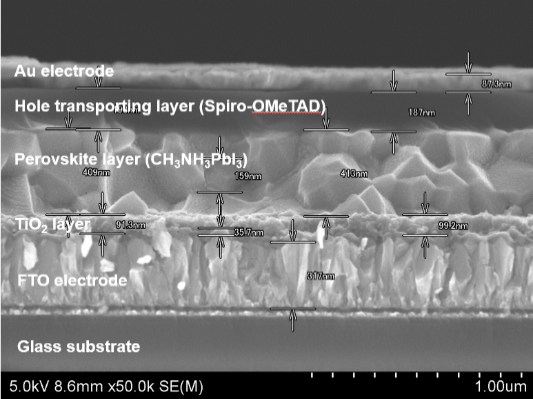 2　Cross section SEM image of perovskite solar cell fabricated by solution coating technique. Figure. 3　Schematic device structure of a perovskite solar cell. Figure. 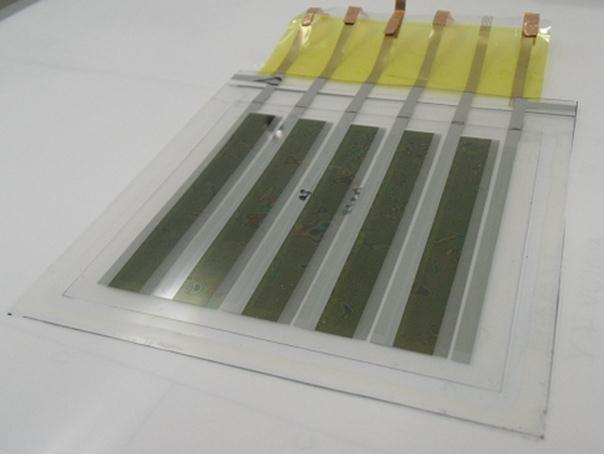 4 A see-through organic thin-film solar cell module. Figure. 5　A module of organic thin-film solar cell fabricated by flexographic printing.